Citigate Commodities Trading (“Citigate”), a Dubai based commodities group has signed a joint venture agreement with Stellar Diamonds plc, the London listed (AIM: STEL) diamond development company focused on West Africa, in Guinea and Liberia for Safa Afrique its diamond mining portfolio. Stellar Diamonds PLC, an experienced West African diamond developer, will be operating both mines for the first phase. Citigate Commodities Trading DMCC has been appointed as the official off-taker of all diamonds produced. Equally exciting are the prospects in Liberia. 670sq kilometres of land for exploration in Eastern Liberia is known as the source of the regions’ rare and fancy coloured diamonds. Recently a, 18.2 ct D-flawless diamond was discovered in the Cape Mount County which is adjacent to Safa Afrique mining project. The diamond is a Type II (which attract top-dollar prices), the first to be reported from Liberia, and the first from a 10-m-wide kimberlite dyke. Type II diamonds are extremely rare as only 2% of all gem quality diamonds in the world are of Type IIa quality. Stellar completed a 100,000 tonne trial mining exercise at Baouléin June 2016 from which total sales generated equalled US$1,228,000. It is anticipated that a further 50,000 tonnes of kimberlite will be mined and processed in order to determine with more accuracy the diamond grade and value of the east lobe. At the current +1.25mm grade of 13.3cpht this could yield up to a further 6,600 carats for sale. Previous sales from the east lobe achieved US$156 per carat. In February 2016, Stellar was awarded two licenses covering a total area of 670.54 square kilometres in the west of Liberia, around the key diamond area of Kumgbo towards the border with Sierra Leone a place known particularly for its fancy coloured and rare diamonds. Stellar had previously conducted reconnaissance stream sampling in the region in 2006/7, which returned positive results with some samples yielding abundant kimberlitic ilmenite, suggesting proximal kimberlite sources—the most important source of mined diamonds today. Headquartered in the UK with operations in Europe, Asia, Middle East and Africa, Citigate International is trade regulated by Dubai Diamond Exchange and deals in diverse commodities across the globe. It also specialises in the supply of raw commodities, gold and diamonds in particular, to manufacturing and retail groups. Citigate Commodities Trading Limited is a subsidiary of Citigate International Limited, a UAE-based international group led by entrepreneur and founder Tohib Iyiola. Citigate Commodities Trading Limited—via Safa Afrique Limited, a diamond exploration and development company, which functions as the group’s nominee company and which has been appointed to develop and operate West Africa’s diamond resources—has exploration assets in West Africa, currently coordinated by SRK Consulting and exploration, and also specialises in the supply of raw commodities, gold and diamonds in particular, to manufacturing and retail groups. London-based Stellar Diamonds plc is an AIM quoted (AIM: STEL) West Africa-focused diamond company with a portfolio of advanced diamond assets in Sierra Leone and Guinea. 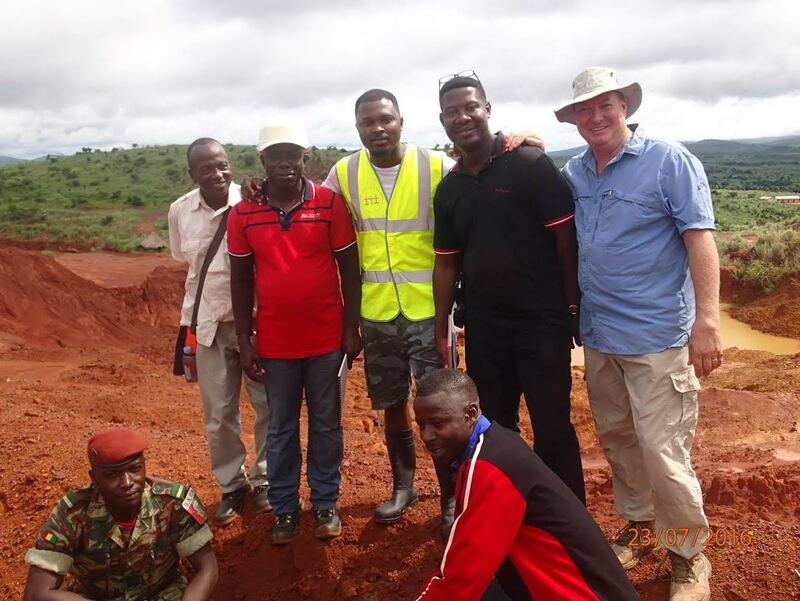 Its current focus is on projects at the trial mining and mine development stages in Guinea and Sierra Leone and it was recently awarded two exploration licences in western Liberia.